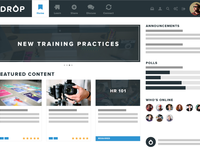 Wisetail LMS Reviews Recently Reviewed! Comments: The Wisetail Learning Ecosystem is a Powerful LMS that offers a seamless experience on PC, Mac, iPad, iPhone and beyond. This allows learners to learn anywhere. With additional access features you can rest assured that certain content can be locked down to only be viewed while at work, and not when employees are on their phones. This is just one of the great features that Wisetail has implemented to make dividing & finding content as easy as possible. - Share features allow your learners to upload videos, documents & links, therefore, becoming leaders & teachers themselves. - Content Advocates give transparency to the question "Who endorsed this content?" - Search is functional, but lacks finesse. The team at Wisetail is truly exceptional. They listen to their customers and excel in customer service in a way NO LMS out there does. It is this level of customer service that drives their development and constant innovation. The dreams of those of us who use the Wisetail learning ecosystem daily is the foundation for new features that make Wisetail great. This just how learning should be: Driven by the learners needs. Wisetail has moved the needle in a huge way for our nonprofit organization. Pros: The customer service and ability to easily customize to our ever-changing needs. We have been able to use Wisetail as an intranet AND as a tool to engage and train volunteers at a fraction of the cost. Cons: The current admin side is a little clunky, but at the most recent Apex conference, it was revealed that BIG changes are happening to make the backend much more sleek and user-friendly. Overall: We are able to disseminate information with remote employees and train volunteers with the click of a button and at a fraction of the cost using Wisetail. Comments: I had been looking for an LMS for a few years before coming in contact with Wisetail. 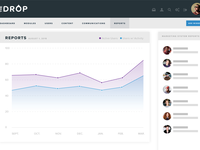 Their program is exactly what I was wishing would be available for businesses to create their own content but have a delivery system (Wisetail) to get the training delivered to the team. Shooting a quick video or creating a quick training segment wasn't the issue, the issue was how do we deliver the content, test on their knowledge of the training, and track who has completed the training. Wisetail has developed the solution that allows our business to create our own content, deliver, test and have record of all our training. My opinion of Wisetail....the greatest asset in any organization is the people. Listen and watch Wisetail's story. It's real and it speaks volumes about their culture and how they run their business. Visit them in Bozeman sometime and you will be able to see for yourself....they are the real deal. I honestly cannot come up with a con off the top of my head. Their system is unique and takes some time to learn how it works, but it is not difficult. Just like any new program, it takes effort on the user's part to understand. Once you see how it works, it just clicks. Also, they are great about modifications or tailoring the system to your needs where they can. They will be honest if the request is outside their ability to deliver. I highly recommend Wisetail to anyone that is looking to improve their training across a company that may span multiple locations. Wisetail is INDIE TECH at it's best! Comments: It's not often that you run across a company that not only takes care of business but also creates a long lasting friendship between client and customer. Everyone that works at Wisetail (and I've met just about all of them) is sincere, genuine and friendly. The customer service is outstanding, with reps that not only help you with your company's individual needs when it's necessary but also keep in touch just to make sure you know about the latest features and that they are there if you have any questions. Not to mention that Wisetail actually listens to all their clients ideas and continually improves their product to help us run our business better. That's definitely a first for me and one of the things I think is so amazing about Wisetail. A couple things that stand out the most about my Wisetail site are social learning and social networking features. 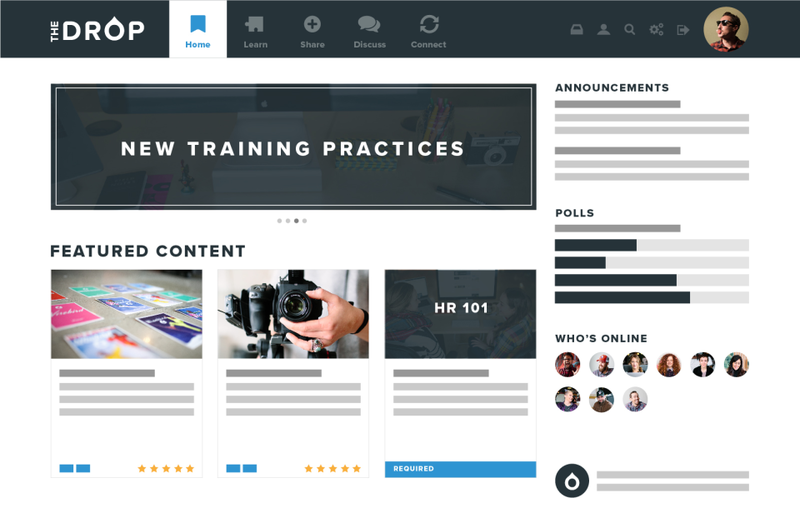 Wisetail isn't just a place to store our e-learning, videos and documents, like other learning management systems. Wisetail takes it to the next level by providing a place for us to share and learn with each other socially. Sharing photos and videos, posting articles, and writing blog posts are just a few ways our team learns about BJ's internally and at the same time, keeps us connected with each other. In a company that is 20,000 team members and growing, the social aspects of Wisetail are key to keeping our team members engaged and motivated. We have been using this LMS for about 3 years. It has been an amazing driver for our training. Pros: It is so customizable. It allows the user a unique learning experience. I love how it allows us to create custom content for both managers and hourly team members. Overall: Great benefits of consistency with training. Pros: I like the mobile access to the product and the user interface for my learners . I like how the content presents and can be helpful for multiple support in operations. Cons: Some of the rigidity of set up in modules. I would like to create notifications to Users when folks are in observation cues. I would like to create recertification presets- ex: once certified, in 6 months there were prompted to retake. Awesome LMS (and it doesn't look and feel like an LMS to the Learner)! Comments: Pros: The Wisetail system does not look like an LMS and it is mobile! We went from signed contract to implemented system in one month. Reliability of the system has been 100%. The UX is excellent for PCs, tablets, and smartphones ' very friendly and engaging, with customizable graphics for creating your own unique look & feel. Learner clicks are minimal to access content. The system truly integrates the positive aspects of Social Learning with the traditional "musts" of an LMS, such as content assignments based on each Learner's attributes (job title, city, state, region, manager level, etc. ), different content types (mandatory, suggested, reference), and the ability to deliver all types of media and SCORM content. Reports are easy to use and powerful. Cons: With roots in social learning as opposed to legacy LMS, Wisetail is still back-filling some of the traditional compliance bells and whistles the 'big boy' LMSs (which cost 100s of thousands or millions of dollars more of course) have in place. Our overall impression of the product, the excellent product support that Wisetail offers, and the easy-on-the-budget cost has always been 'Wow.' Wisetail is not just our LMS vendor, they are a strategic partner. Completely Intuitive! Changes the Game! Comments: From the first time I was shown the software, I immediately understood it. That fact sold me on the system because our entire user base needed to also be able to get it as soon as they logged on. The user interface very is intuitive for both the user and the administrator. Being able to add or update material is a breeze and supports any format I've thrown at it. The site looks and feels completely on brand and stays structured no matter what device you use. Very few software providers also provide great customer service, and twice a month I hop on a video call with my client service rep (not a sales rep!) and walk through any updates to the software and to answer any questions I may have. The software is easy to use and I have had no trouble training many people within my company to be administrators to create content and perform edits. I have recommended this software to many companies and several of them are now happy clients of Wisetail. If you recognize the importance of training and development, you want to go with a company that thinks it is that important too. 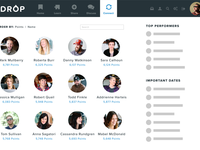 I love Wisetail because of the LMS's engaging and social features and the company's awesome people. Cons: Cumbersome back end, some extraneous clicks on the front end, some inconsistencies, really wish there was @ tagging and some other automation features. Comments: Wisetail is a great company to work with. Their customer-first focus is not just talk, it is part of everything they do and decision they make, from initial needs identification to implementation to ongoing support. 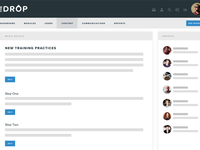 The Wisetail Learning Ecosystem is the LMS re-imagined. Having worked with every major LMS I can honestly say the platform Wietail has developed is the only one to truly take advantage of current demands and trends. This includes a video-centric approach, facilitating peer-to-peer sharing of best practices, and a social layer that truly enhances the learning experience. 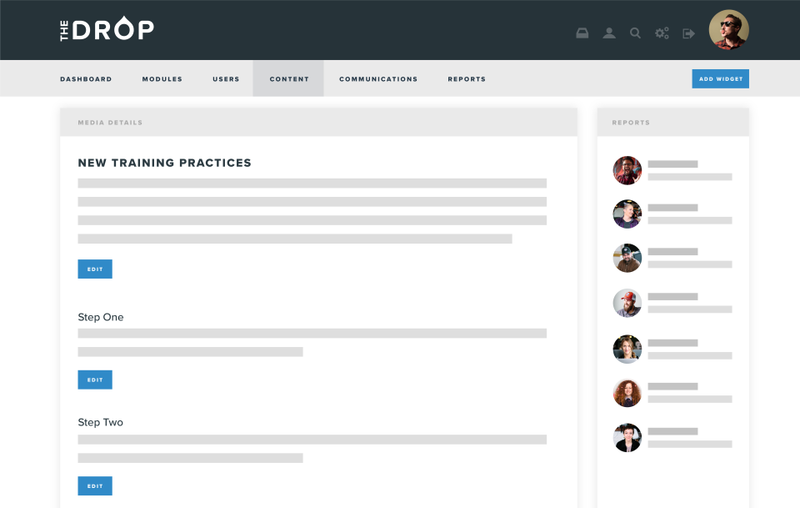 While the Wisetail Learning Ecosystem might not have the formal structure and assessment capabilities of a platform like Blackboard, it more than makes up for it with other features. In the corporate world where onboarding and other types of formal training need to coexist with on-demand performance support, this is a flexible and feature-rich platform that exceeds expectations. Pros: The ease of use. It's very easy to set up. The training is stellar. Customer service as well. Cons: There are a few functions that I wish Wisetail had that I know some LMS platforms have - like allowing our users to upload photos in the learning modules. I also wish there was more flexibility setting up the layout. Overall: There are a lot of benefits. I would say the training and support are the best features. The platform is good. A bit more flexibility of layout would be helpful. Comments: We chose Wisetail over other LMS offerings due to ease of implementation, demonstrated understanding of the restaurant business, comprehensive branding options, down to the user reporting features, ease of course building/updating, and the social/communications aspects of the tool. Now that we are a month into our implementation, we are even more certain that we made the right choice. Wisetail listens to their customers with a genuine desire to learn from the feedback and to create additional features for all of their clients. Our client experience person is keeping our implementation on track on the Wisetail side and ours with weekly calls and anytime emails. I am confident that we will be able to meet our aggressive timeline, and launch our site at an important company conference this spring. Comments: Wisetail is a social-based learning platform/LMS that was built from the ground up to be a better option. It's clear that Wisetail was looking to work with companies that saw training as an asset rather than an expense. Pros: The system is easy to use, quick to learn, and fast to set up. If content is prepared, a roll-out time in as little as 4-6 weeks is very doable. I say this because that's what I did for our 1200 employees. Other pros: a great customer service team led by a stellar gal, a product development list that is heavily customer driven, and a very responsive company. Cons: I just wish they had 10 more programmers to execute on all the great ideas they have on their list. The future only looks brighter for this fast-moving company. 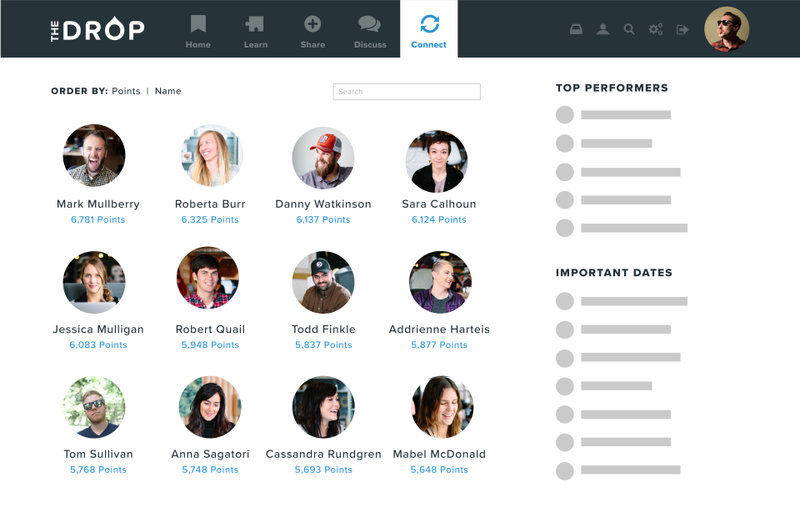 Comments: The Wisetail ecosystem is unlike your traditional LMS. I like to describe it as taking a large portion of the things we love about social media sites, like design, interface, and engagement activities and mashing that up with traditional LMS features. Implementation for this one-man team was a breeze. Engagement has been extremely high and we continue to see it rise. Service has been unlike anything I have received with other companies. I would recommend Wisetail to any company looking for more than a sales relationship. If you're looking for a company that really listens to your feedback and then actually acts on it, Wisetail is it. If you want a partner that doesn't break promises. These are your guys. Comments: The reason we chose Wisetail as a LMS was because of the environment. They have a great team of guys (and girls) who seem to move seamlessly forward in the LMS game. Anytime there is an issue, it's almost like it's fixed before I even report it! For such a small personalized team, they sure work fast. 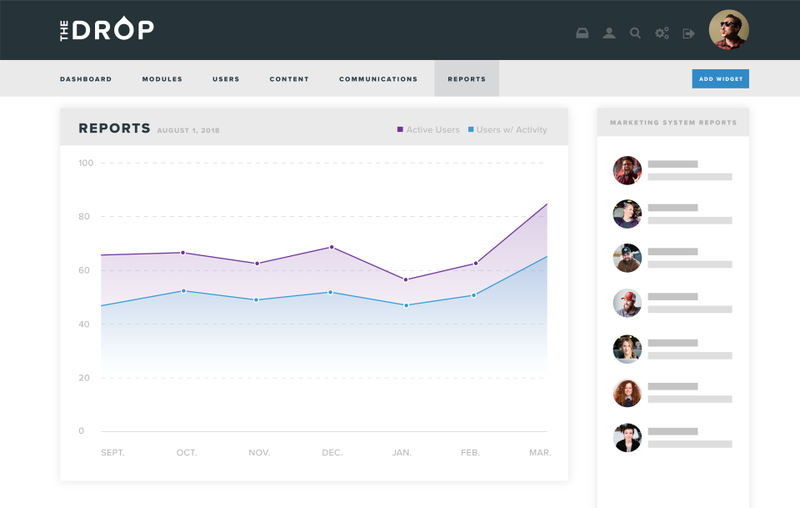 We needed a team that would respond well to our needs and create anything but a stiff LMS. The social aspect is brilliantly captured with Wisetail and I would suggest this to anyone who welcomes out of the box training. Our search for personalized learning paths and training is over. Would highly recommend! Love our LMS with Wisetail! Comments: We've been with Wisetail since the very beginning. It's a great company to grow with, and the product is developing at a rapid pace. The interface is very intuitive. Service is very caring and professional; you can tell they really want your system to be successful! The only issues we've has are around content design. The system it so flexible it's pretty easy for an inexperienced designer to create a course that doesn't perform or report well. I've learned to include them in the design process, being very clear about my desired outcomes, to get what I need out of my courses. They are always happy to help with that. Comments: I have been a Wisetail user for a little over a year. After an extensive search for the "right" LMS we found Wisetail and were impressed with their culture, product, and people. With any LMS purchase you don't want to waste your money and we measure that performance through engagement. With 3,600 active users Wisetail's solution offered us a platform to reach each user in a unique and social way. That in itself is the greatest strength of their system. They regularly offer new and enhanced features and their client services are second to none. Comments: Wisetail has provided us with the tools and support to provide our team members with a social training and communication system. Wisetail is and will continue to be a valuable tool for us to successfully offer the best training we can to our team members. The service that Wisetail provides is excellent, they are always lending a hand when you need help. It goes beyond just a solid product, it is truly a great experience. Comments: For us at Farmer Boys, the Wisetail Learning Ecosystem, has been a hit! The social nature of the platform allows us to incorporate social learning opportunities with formal or compliance based learning requirements. This makes it ideal, especially, for the younger generation of workers and learners on our front line. Comments: Pros: Overall impression and impact has been very good. It is easy to load but started out fairly limiting...which is now requiring us to reorganize. Love some of the new features! You guys have come a long way! Cons: much as we love you, it sometimes feels like our requests get forgotten. So happy we found Wisetail! Comments: Wisetail, for us, has enhanced the excitement around learning exponentially. We currently have a usage rate of 99.6%. Wisetail is easy to use, easy to customize to our needs, and the Wisetail associates are very responsive to our questions and needs. Comments: The Wisetail learning platform is engaging yet very simple for end users and administrators to use. The support team exemplifies outstanding service, partnership and commitment in helping their clients deliver the best product possible. Comments: Love the product and the company. Wise tail has been great to partner with and has proven very knowledgeable in helping us with our custom installation of the LMS. Easy to learn and manage. Comments: Would like to see a few more features to personalize the sight on the admin side. Still trying to wrap my head around enrollments.